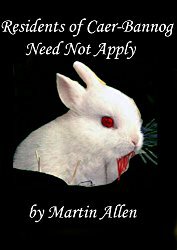 It’s Friday again – and today Martin Allen is here with his extensive collection of multiple genre books. Martin would like to be one of my favorite Avengers, and if any of you are looking for book reviews, he offers some ideas below. An exploration of the perceived infallibility of DNA and Fingerprint Evidence as presented in UK Law. Until relatively recently there have been virtually no challenges to the reliability of these types of evidence. This title explores not only the cases that have challenged these evidential types in the UK but also persuasive authorities from overseas and expert opinions on their scientific validity as they are currently presented in the UK. Recondite is a number of abstract digital pieces combined into one collection. Each piece is an invocation of a particular mood or concept. The pieces are grouped according to the original source material into a number of “series” to illustrate the dimensions of experience within each image. 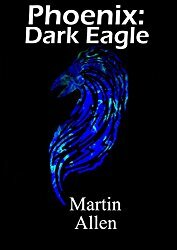 A short story set in the same universe as the forthcoming “Phoenix: Rising” Novel. There is a sample of this novel after the short story. Set in a Dystopian world ruled by a Theocracy a non-descript clerk finds himself thrown into the very prison camps he helped to fill while working in the “Justice” System. As the pyres of the Inquisition burned, the faith of Decimus Vespilo did not waiver. Holding to the tenants of his training he remained detached from that which he visited on others. Assigned to an Investigation he deemed beneath him he is caught up, not only in a rapidly growing movement but a conspiracy that could destabilise the teachings of the temple to which he devoted his life. 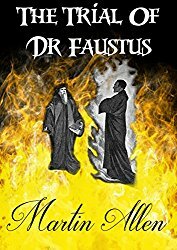 Is the mysterious preacher the “Phoenix” a threat or the salvation he has been subconsciously seeking since consigning his own grandfather to the flames when just a child? As his ties to the movement grow stronger during his undercover investigation, will his affection for Histar sway his course? The emergence of a Shadowy mastermind casts a sinister foreboding to Decimus`s mission as his every move is predicted and countered. Could it be the “Phoenix” is an unexpected ally to forestall the inhuman manoeuvring of those seeking to subvert the original message of the Empire? Manoeuvring that has been bastardising this message for years,so much so that the original is lost and incompatible. Decimus must decide between his beliefs and the Empire he has been trained to protect at all costs. Under the brutal oppression of the Empire, a new era of repression is to begin. The show trials will cease, and the bloody massacre of those deemed unclean or unholy will commence. Calidus Squad of the Imperial Guard has been recalled to Earth, the very seat of the Empire and is tasked with transporting these prisoners to their final destination, where they assume the prisoners will stand trial. Calidus Squad are among 7,000 Imperial Guardsmen assigned to this task by Investigator Celeris. The convoy starts at Jerusalem and ends in Rome. Lieutenant Gratius and Sergeant Curtius are all too aware that the involvement of an Imperial Investigator, the Empire’s trained killing machines, heralds a dark undercurrent to this mission, but other members of the Squad, such as Guardsman Amatius Balbus, have much to learn about the Empire that they serve. 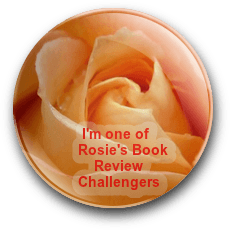 The one light in the dark is Mya, a small child who attaches herself to Calidius Squad, and she may just change the course of the Empire. 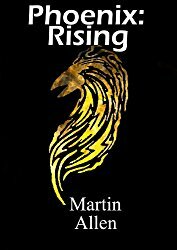 This prequel to “Phoenix Rising” is the story of the 7,000, worshipped as Demi-gods in the Empire of “Phoenix: Rising”. A short story set in the same universe as the Author’s “Phoenix: Rising” Novel. 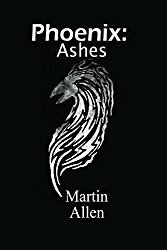 There is a sample of this novel and Phoenix: Ashes after the short story. Terenitus Catilina awakes in a military hospital, her life changed forever. Gone is her carefree existence, safe in the middle classes of the Empire of Sol Invictus. She must now come to terms with all that she has lost, and the horrific injuries that she has sustained. Taken in by the Inquisition after they saved her life Catilina is now beholden to this dark and terrifying chapter of the Empire’s clergy. She must now complete her training to join their number as the prototype of the Dark Eagle protocol. A humourous Science Fiction short story in which a failed writer, dependant on the favours of family friends, on his last chance to get published discovers a portal to an alternative Universe. can he use this discovery to launch his writing career? As a turncoat mercenary Beorma is on the run. 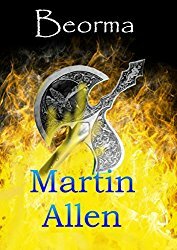 Once engaged in an ill-fated Norse invasion of the Scottish lands, he must now attempt to throw off his Norse pursuers. He turned on them in the midst of battle and they care nothing for the fact that he was trying to stop the slaughter of children, for they were the ones perpetrating this evil. In his flight he happens on a band of Angles who had escaped the Vikings he had once served. It was once said that “man hath no greater love than this, that he would give his life for a friend.” but perhaps man hath no greater love than to give his life for a stranger. When a mysterious visitor to Brawley appears out of a special rift, Mariah Beck faces her greatest challenge. 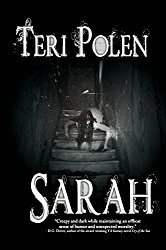 Despite leaving legal practice to draft legislation for the good of Supernatural beings and their struggle for Equal Rights she must now return to her previous calling to save the soul of an elderly German Supernatural, and her own. Her opposition; Mephistopheles himself! 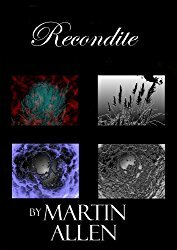 “This author has a unique and delightfully artful way of writing. The expert mastery of dialogue and language is as entertaining as the story itself. I was immediately transported to this world and its totalitarian structure which is analogous to The Inquisition set in a far flung future after a nuclear event. Usually I can read quickly, not so with this prose. Impressively, the sentence and paragraph structures require close attention to each word because much meaning is attached. That is not to say this story is hard to understand or tedious to read, it is to say that this writing is not dumbed down. True lovers of literature will love this no doubt, regardless of a preferred genre. Thank you Ron Baker, if you ever read this. I think Histar from “Phoenix: Rising” would really hate my guts. She’s a woman that went through a lot (and will go through more – in at least one other book [I’m not saying which]) . Over the years I’ve tried some advertising (it didn’t work), I’ve tried contributing to anthologies (there’s one set in Brian Parker’s Sci-Fi Film Noir world of Easytown hopefully being released either the end of this year or early next), I have E-mailed out large numbers of copies to reviewers, set up free days on Amazon, I’ve even started a book review circle where authors give out copies of their books to the circle of authors and readers in exchange for honest reviews. That last one is in progress and time will tell how that turns out – the link is https://www.facebook.com/groups/596504473878835/ if anyone is interested in joining. I have done so many things, mainly out of a sense of boredom and they interested me at the time. As well as being awful at a number of musical instruments I have learned to make chainmail, appeared on stage as a Magician over several years, appeared on stage in a musical (yes, it was a singing role – sigh), I design my own book covers (and I hope to get a lot better at that), I’m a 2nd Kyu (brown belt) in Karate, I practiced Aikido for around 10 years, I’m a Grade 3 and 3 Star fencer who attended the West Midlands Centre of Excellence for Fencing, I won the North-East England Mooting Competition in 2002 (Mooting is presenting a legal argument in a competition – like debating but only in law) and I accidentally learned how to make home-made cider (for American readers, I’m talking the alcoholic variety). Tony Stark, genius, billionaire play-boy, philanthropist – what’s not to like. That and I don’t play well with others either, so it wouldn’t be much of a culture shock on that front. Martin Allen graduated from the University of Northumbria at Newcastle in 2003 with a Law LL.B (Hons) Exempting L.P.C. Degree. He has worked in many different areas of the Legal Sector and built up a wealth of experience in the sector. Martin enjoys reading and writing Science Fiction but has taken the time to write a Legal piece, “The Prosecutor’s Fallacy: The Reliability of DNA and Fingerprint Evidence” and has contributed to CCR Public Sector Magazine on the subject of psychology. The Phoenix Series is a Science Fiction series set in a world where a Theocracy has come to power. 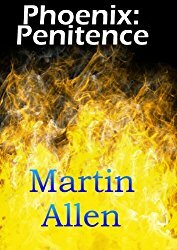 “Phoenix: Penitence” is a short story set in this world. The first Novel “Phoenix: Rising” charts the rise of a new interpretation of the theological teachings of this Empire and the lengths this Empire will go to protect itself from it. The story is told from the point of view of an Imperial Investigator caught in the middle of the Empire’s manoeuvrings. 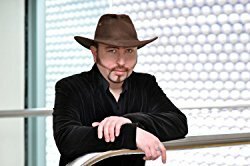 In other bouts of creativity Martin appeared as Gaston in Storytime Productions performance of “Once Upon a Dream” and has appeared supporting a number of bands in the Birmingham UK area as a Semi-Professional Magician (he has a number of videos on his You-Tube channel. He also sold some works of art in his own lifetime (which technically on a like-for- like basis makes him currently more successful than VanGogh… just). He has also been a Rock DJ in Newcastle Upon Tyne UK. You got me at Tony Stark! ‘Nuff said – right, Staci? Anybody who likes The Brain is okay in my book. What a diverse (and exciting) collection of books. Martin must be very talented. Hugs all around. 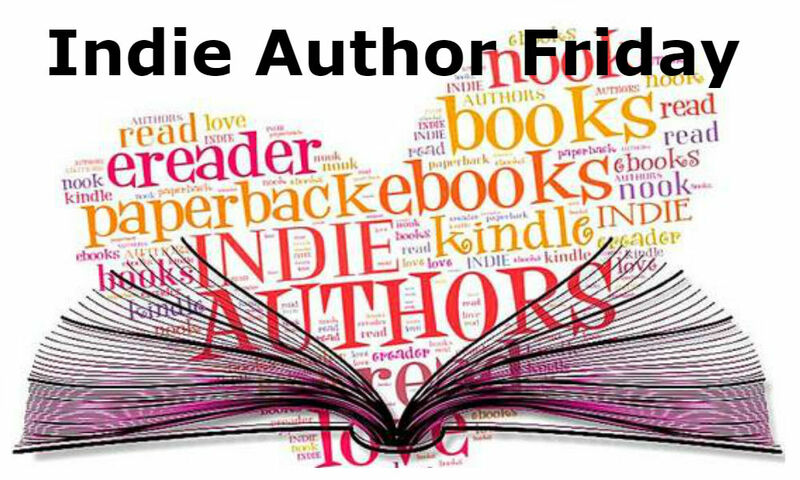 Definitely a multi-genre author – hugs, Teagan! What an entertaining interview. That has to be the most intriguing collection of talents and hobbies I’ve ever read. best wishes to Martin. Not the usual collection of people you come across – very unique. I sounds like Martin has done a lot of interesting things during his life, Teri. 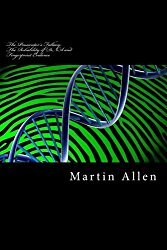 The book about the infallibility or fallibility, depending on how you look at it, of DNA evidence really caught my eye. I have already broken my vow by the way, and bought five new books this week. Um – I might had added a few myself.